We love it when you readers send us your Weekend Wallpaper submissions. But you’ve been sending us too many damn BMWs lately! Listen, friend, I’m super glad you’re enjoying your M4. I like BMWs too. Even owned some. But there are more cars out there. Let’s celebrate all the good cars. Here are two excellent cars that are not BMWs. 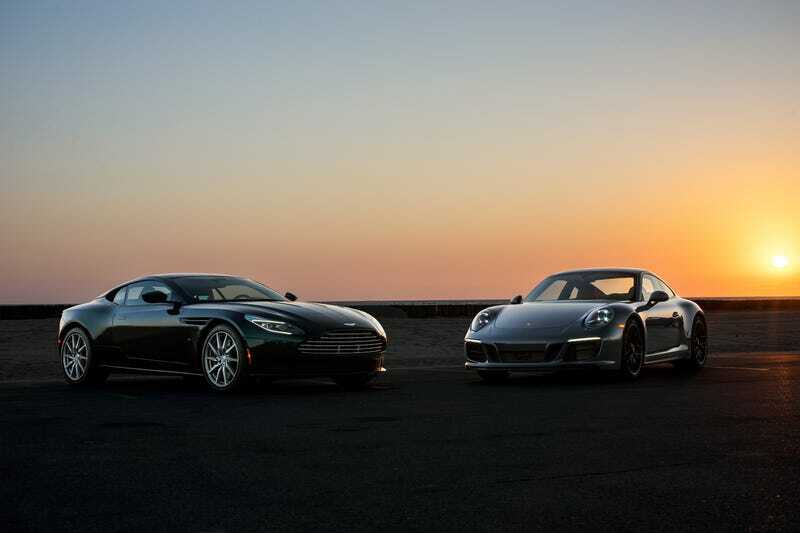 One is the Porsche 911; the other is the Aston Martin DB11. Anyway, thanks to @kramdavie and @yergacheffe for the cars in these shots. Find more of JBH’s work here. Here’s a bonus shot that’s really lovely and pleasant.